RiteBite Easy Slim is a herbal dietary supplement that contains various essential herbs to help you lose weight. The supplement contains guggul that is well known for its weight management benefits. Yebra Mate and green tea, contained in this supplement is rich in antioxidants that reduces free radicals from the body and boosts the immunity of your body too. RiteBite Easy Slim bar also contains garcinia cambogia that supports fat metabolism. It converts he food consumed into energy rather than fats. 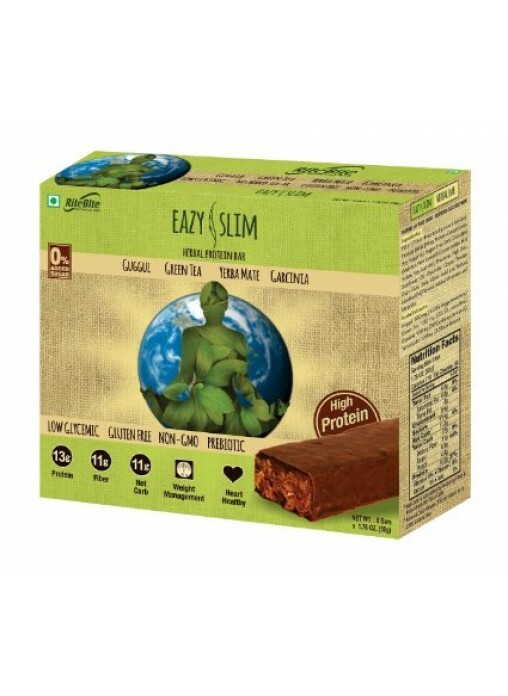 The herbs contained in this bar cleanse your digestive system and decrease the accumulation of fats in the body. Additionally, the supplement helps in the metabolic functions of the body further aiding in weight loss. So, try RiteBite Easy Slim to manage weight and live healthy.